The cornerstone of the concord Collection is quality, and this wall sconce is no exception. Combining a classic bronze finish and posh styling, you will find no better way to highlight the charm of your home. With the superb craftsmanship and affordable price this fixture is sure to tastefully indulge your extravagant side. 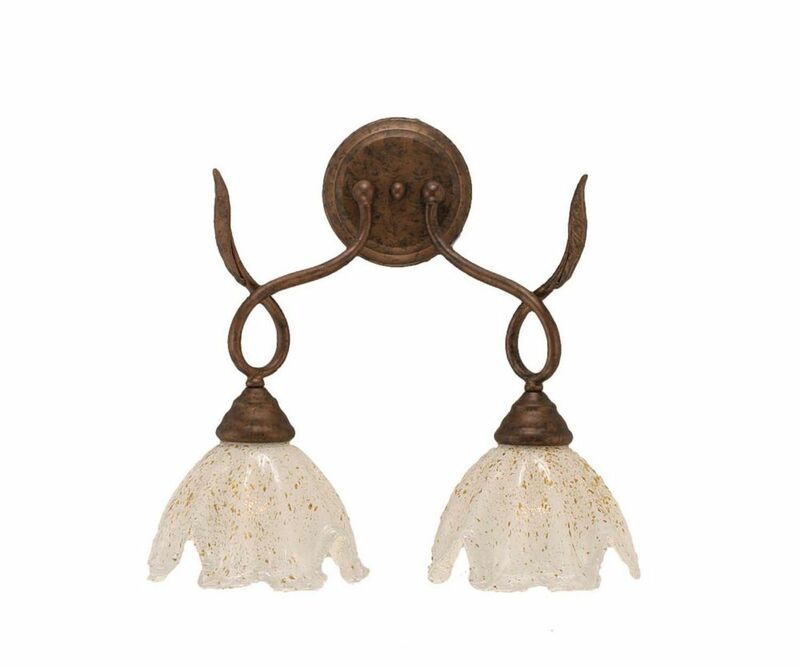 This wall sconce will update your home with its eye-catching design. Featuring a bronze finish and matte opal shade(s), this fixture will accommodate a variety of dicor styles. With its easy installation and low upkeep requirements, this wall sconce will not disappoint. The modern industrial decor trend continues to be a must-have for any space and the stylish design of the McKibbin 1-Light Swing Arm Wall Sconce is the perfect accessory. It's not just the ultra-functional swing arm that makes it perfect - the shade pivots so the light can be pointed in various directions. The matte black finish is expertly accessorized with brass accents and is a knock-out against an exposed brick or concrete wall. The 2-in-1 design allows you to place the light anywhere you want. You're not restricted by the need for an existing hardwire connection simply use the six-foot cord to place your sconce anywhere there's an outlet. The options are endless! This brand new metal & glass wall sconce is exclusively brought to you by ArtMaison Canada. The wall sconce is made of metal frame with glass holders included for the candles. This black colored sconce will glow up your urban living space with its contemporary metal design. It is packaged with care and ready to hang on your walls. *Candles are not included as a part of this item. Concord 2-Light Wall Bronze Wall Sconce with a Gold Crystal Glass The cornerstone of the concord Collection is quality, and this wall sconce is no exception. Combining a classic bronze finish and posh styling, you will find no better way to highlight the charm of your home. With the superb craftsmanship and affordable price this fixture is sure to tastefully indulge your extravagant side.